Eddie Horner is a Managing Director with senior management responsibility for Caprin’s marketing and client service team. 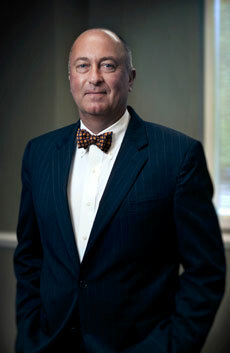 He is also a member of the firm’s Credit Committee and Executive Committee. Prior to joining Caprin, Eddie managed J.C. Bradford’s mid-Atlantic municipal bond commitment center and prior to that managed the municipal bond department of Scott & Stringfellow, Inc. Eddie joined Scott & Stringfellow as the result of a merger with Horner-Barksdale & Company, where he began his career in 1976. Eddie is a former governor and past president of the Bond Club of Virginia. Nationally, he served a three-year term on the fifteen-member Municipal Securities Rulemaking Board (MSRB) established by Congress as the primary rule-making authority for the municipal securities industry. Prior to his board term, he served as an MSRB arbitrator. Eddie is a former member of The Bond Club of New York and several Bond Market Association committees. Eddie is a 1976 graduate of Hampden-Sydney College and has served on the boards of several non-profit organizations in Central Virginia. DISCLAIMER: None of the statements expressed or information contained on this site shall in any way constitute investment advice or a recommendation to purchase or otherwise trade and investment. All purchase or sale of securities are sole the discretion of the reader. Articles and links are provided for informational purposes only and are believed to be reliable; however, in no way shall their presentation here be construed as a guarantee of their accuracy by Caprin.